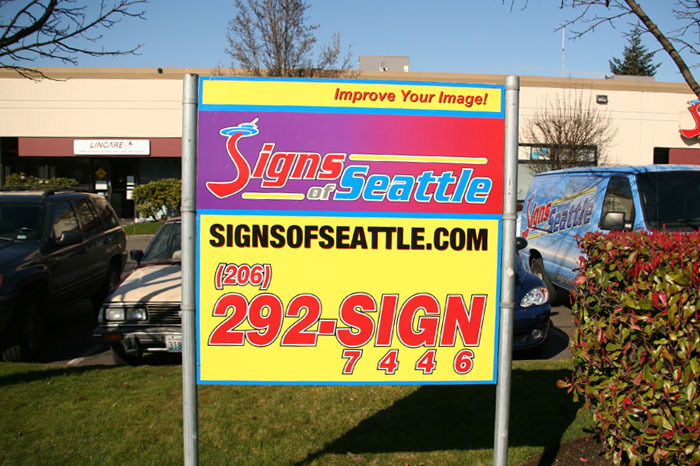 Protect your sign from Graffiti with a Graffiti Proof sign. 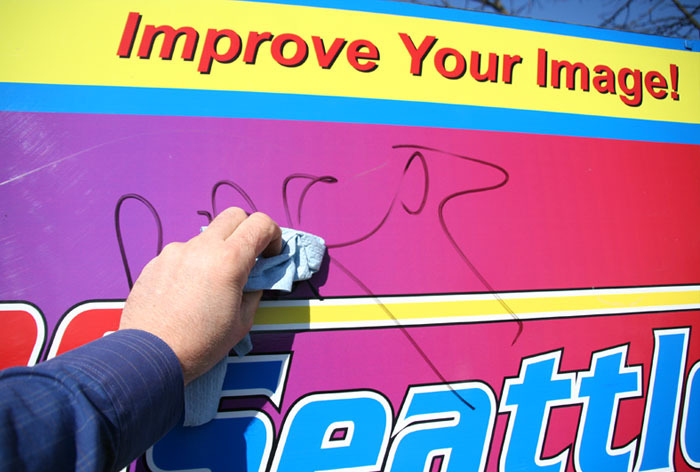 We apply a Vinyl film to your sign that allows you to wipe off graffiti with rubbing alcohol and a rag. 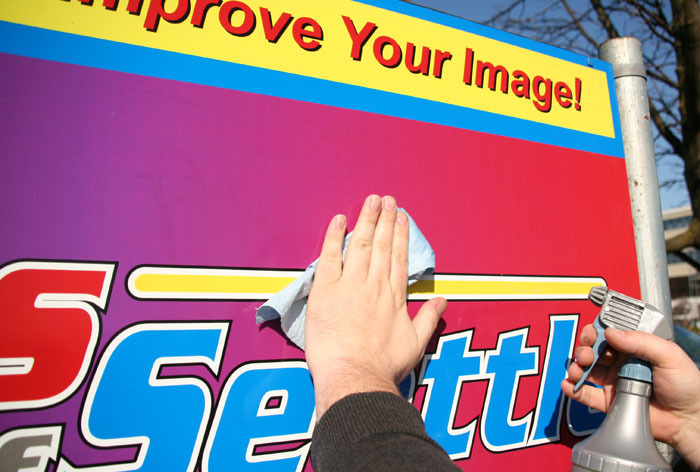 It doesn’t work in all cases, but in most. 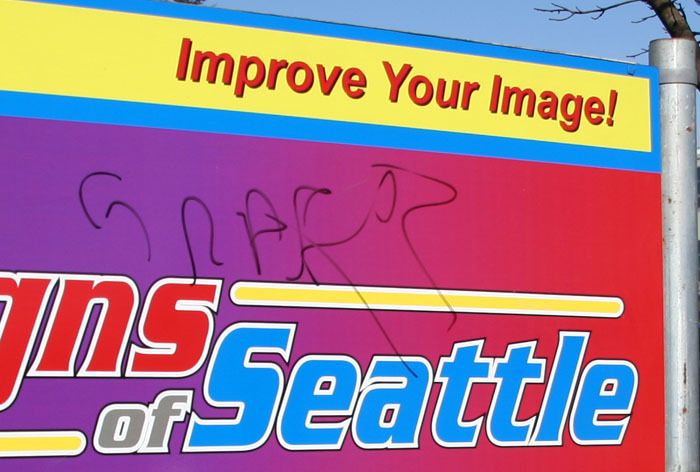 The Graffiti Proof sign pictured has been tagged three times with markers and spray paint and the graffiti came off every time!